This two-story, side-gabled, Colonial Revival-style house is three bays wide and double-pile with a two-story, shed-roofed porch that extends the full width of the façade. The house has plain weatherboards, cornice returns, eight-over-eight wood-sash windows, and an interior brick chimney. Centered on the façade is a three-light-over-four-panel door with ten-light sidelights and a one-light transom. The two-story porch is supported by grouped square posts. A two-story, hip-roofed ell at the rear likely dates from around 1950. It has weatherboards, double-hung wood-sash windows, and a picture window on the left (west) elevation that is flanked by four-over-four windows. An attached, one-story, gabled garage at the rear has a brick veneer and wide brick chimney. 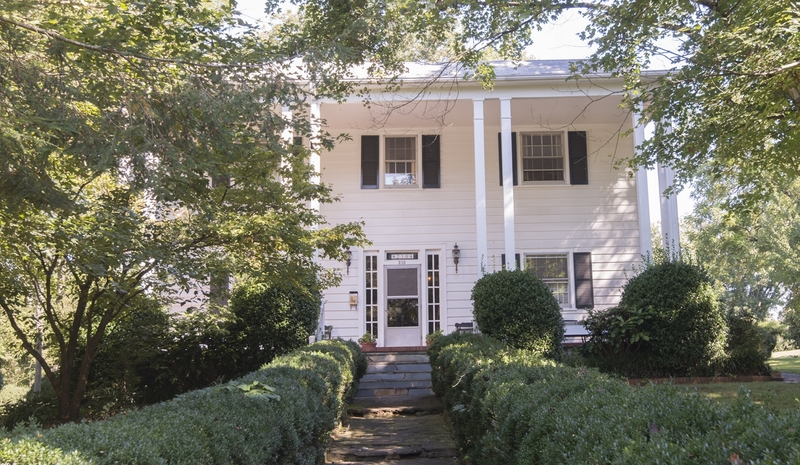 The house is sited on top of a small hill framed with manicured boxwoods and historic hardwoods. County tax records date the building to 1926, however the front portion of the building appears on the 1924 Sanborn map.